In mid 80’s most of the hospitals in India were government owned and treatment was free of cost. 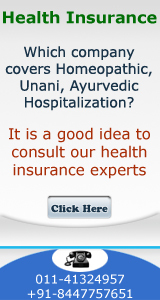 With the advent of Private Medical Care the need for Health Insurance was felt and various Insurance Companies (New India Assurance, National Insurance Company, Oriental Insurance & United Insurance Company) introduced Mediclaim Insurance as a product. According to recent news report health insurance continues to be the fastest growing segment with annual growth rate of 20% to 23%. Health Premium has risen to Rs. 24,784.05 crores in 2015-2016. As per the recent reports from various agencies the health sector has the potential to become a Rs. 10,00,000 crore industry by 2020. Estimates of leading Chambers of Commerce as well NGO Insurance Foundation of India also confirm these estimates. In 2001 with entry of various private Insurance companies now the customers have choice of buying this insurance from 28 Insurance companies. 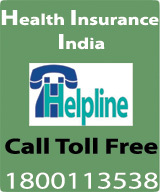 India is the only country where hospitalization insurance policy was being sold as Mediclaim Insurance Policies. The very name gives a feeling to the insured that claim has to be lodged. If motor insurance policy is not sold as motor insurance claim policy and household insurance policy is not sold as household claim policy then why this be named as Mediclaim? Since 2002 the trend has emerged that some Insurance companies have started calling this product as Health Insurance and in 2016 we find it is the common nomenclature for this insurance. Health Insurance and Mediclaim are two different names for the same product. The change has started coming and now we have started calling it Health Insurance. ICICI Lombard has even named it as Health Insurance Policy. Calling is as Health Insurance is a positive way of looking at this Insurance. It also giving us a feeling that we as a society have started moving from curative medical care to preventive medical care. According to sources in Oriental insurance it is being felt that mindset has started changing over the last couple of years “ The new middle- class of of India aspires for quality healthcare service and doesn’t mind going to expensive hospitals like Apollo or Escorts. There is no reason why healthcare insurance should not be successful with this class.